RVND™ 7 is the latest RV-specific GPS device from Rand McNally. With award-winning navigation at the heart of this device, RVND™ 7 helps you route safely and efficiently by allowing you to select from 11 pre-loaded RV and camper types—as well as car and custom settings—and designate the points of interest and campgrounds you want to see. With millions of RV-friendly locations and amenities, as well as exclusive trip content from Rand McNally, RVND™ 7 is built for your adventure. Stay ahead of the curve with Rand McNally's Lifetime Maps*. Get updates on new roads, vehicle restrictions, and more. Lifetime Maps provides regular map updates. 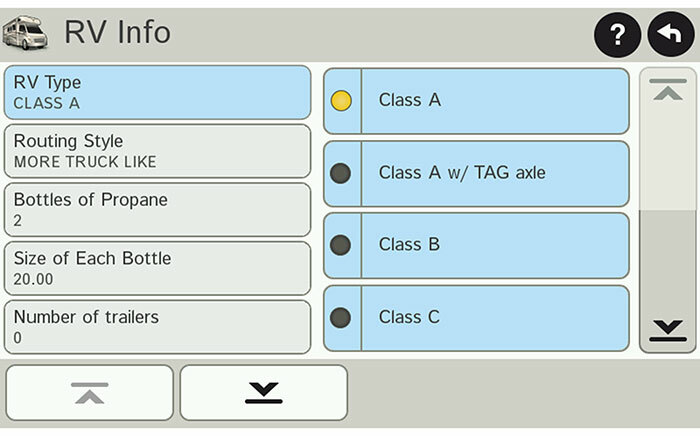 RVND™ 7 gives you customized routing based on the specifications of your RV or towable trailer. Simply plug in the height, weight, and class of your RV to automatically route the safest and most efficient trip. Be prepared for what’s ahead with RVND™ 7’s helpful navigation features. Advanced Lane Guidance prepares you for sharp turns and complicated intersections, while Junction View guides you through complex interchanges. When you need to make a stop, filter through millions of RV-friendly POIs, or display amenities at upcoming exits. *The Lifetime Maps feature provides the original purchaser of a Rand McNally device with base map updates for their specific Rand McNally device, when and as such updates are made available on the Rand McNally website, for the useful life of the specific Rand McNally device purchased with this feature. The "useful life" is defined as the period during which the Rand McNally device (a) has sufficient memory capacity and other required technical capabilities to utilize current map update data and (b) is capable of operating as intended without major changes or repairs. If your device does not have sufficient memory for you to download an entire update of the map data, Rand McNally may provide alternatives such as (i) reduced map data coverage for your update, and/or (ii) if your device permits, usage of extended memory from a microSD™ card. Continued operation using extended memory may require the purchase of a compliant microSD™ card, loading of all or a portion of the map data update onto the card, and insertion of the card into the microSD™ card slot on your device in accordance with instructions provided by Rand McNally. If neither of these options can be used to resolve your device's lack of memory, then the "useful life" of your device will be considered expired. NOTE: Loading map updates to an older device may slow the operation of the device. Rand McNally also reserves the right to end its provision of Lifetime Maps updates in the event its map supplier(s) cease providing the company with updated map data. Lifetime Maps is not transferrable to another person or another Rand McNally product. Map updates provided by the Lifetime Maps feature apply only to the same geographic map data originally included on the specific Rand McNally device at time of original purchase. High-speed Internet connection is required. For select device models, Rand McNally Dock software is required. Rand McNally reserves the right to terminate your subscription to Lifetime Maps at any time in the event you breach any of these terms or your subscription agreement. 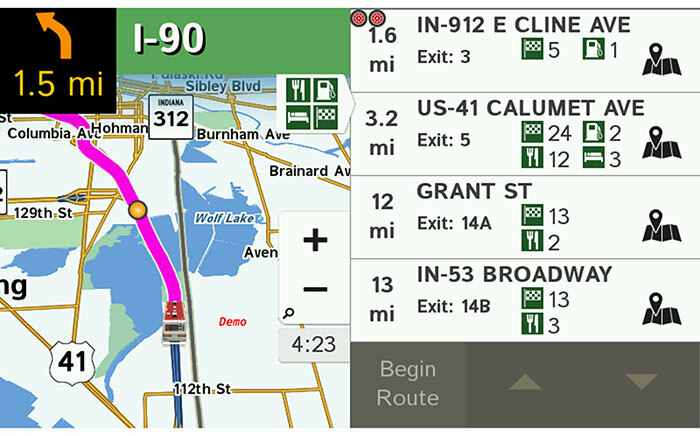 RVND 7 is a budget GPS specifically for RV drivers but also has an auto mode for regular type vehicles. I have a history with Rand GPS software. My first was Rand McNally iOS software for my iPad. It was free for iPads with GPS capability. Loved this mapping system for a couple of years until it was no longer updated. I then found that Rand McNally was distributing their own RV device and I bought that for $400+. Kept it until Rand McNally was not keeping up with the Apple Mac iOS updates, had to have support send me a micro sd for updating my RVND device. Decided to sell this device and use a Garmin for RV traveling. Upgraded my Garmin RV to the larger screen and capable of WiFi updating, thus not having to connect to my Apple device, unless i wanted to. I still have the Garmin RV GPS. First, the PROS that I like about my new Rand McNally RVND 7....as compared to my Garmin. —Light weight. I added a magnet to its “holder” and use with my iphone clasps. —Warnings category with curve, hills, wind, narrow roads, state border, toll booth, construction and speed limit. Extensive and can adjust some of them. Great feature. —information on each state under road atlas. Some useful and all interesting. —ETA adjustment. If you know you always stop along your route for a bit of time, you can adjust the destination time accordingly and not have to worry about adding extra time in your head each time calculating. And, if a fast driver, then lessen ETA. —Avoid small roads (A MAJOR REASON for buying. We’ll see how this works versus a Garmin navigation). Not only can you avoid dirt roads but also small roads. There are other avoidances but i’m mainly giving why i bought this Rand McNally RVND 7. —POIs on the map has extensive on/off points for what you want or don’t want to see. —Rand McNally Trips-many ideas for road trips when you don’t know what to do or need an idea. Cant wait to try one or two. —MAP SCREEN and NAVIGATION. Some of my favorite reasons for buying the Rand McNally when i already have a top Garmin RV gps. -Can easily see miles to go, arrival time and date in too right. This can be adjusted for 4 other options but love the default setting. -Find POIs along my set route when on the interstate. A huge plus! Knowing the direction i am going and giving me only POIs that concern me forward, such as rest areas or Walmarts. —Mile Markers. Yes, one can look alongside the road a see a mile marker, but RVND shows you the mile marker on your map! —Big Bar at center bottom of mapping. Love love this feature! This bar toggles to three different features showing the city/county, intersection names, or street that you are currently on. I am forever wondering what city i am in! —Compass directional. Live the NW, SE, S, etc rather than a compass arrow thats teeny tiny and then i have to figure out in my head the N, S, E, W directional. I can't be the only one liking this nice feature versus an arrow. -Rand McNally Maps. I’m hoping their maps are as up-to-date as their paper map books. The map page and coordinates are displayed when first putting in a route. -Price. I paid at least $50 too much. A week later found for less, but still a very good price without a bunch of extra bells and whistles in a tablet that I won’t use. —Screen is hard to see at an angle. —Auto-recalculating or calculating is slow and can be nerve racking. Don't know if this is due to software or speed of processor. —TINNY VOICE. Audio speaker is lame. Can hear but must really tune my ears for the sound. —The RVND Rand McNally main page led me to believe that i could update software via WiFi. I should have been more thorough with my reading on the RVND 7 description. My loss. RVND 7 must be tethered to a computer for an update. I’m only hoping I’ll be able to continue to update as Apple updates its iOS. If not, I’ll have a door stop once again. I have not used this particular model enough to know about its navigational features but if the past is an indicator of the future, we will be very pleased with its mapping navigational features, particularly when using the RV mode. It's a very good product,had one before and wore it out. This one is just as good maybe even better.